We congratulate Firefighter II-Paramedic Jason Benton for obtaining his National Registry Paramedic certification. Benton graduated from Rescue Training in Savannah Georgia in June and successfully completed testing on 30-July. We wish him the best for this new chapter in his fire service career. Stations 4 and 15 responded as mutual aid to Hampton County for a multi-alarm, multiple structure, equipment, and vehicle fires at 375 Gilbert Road off of Salkehatchie Road on Wednesday afternoon 29-July. The request was received at 15:21 for apparatus and personnel. 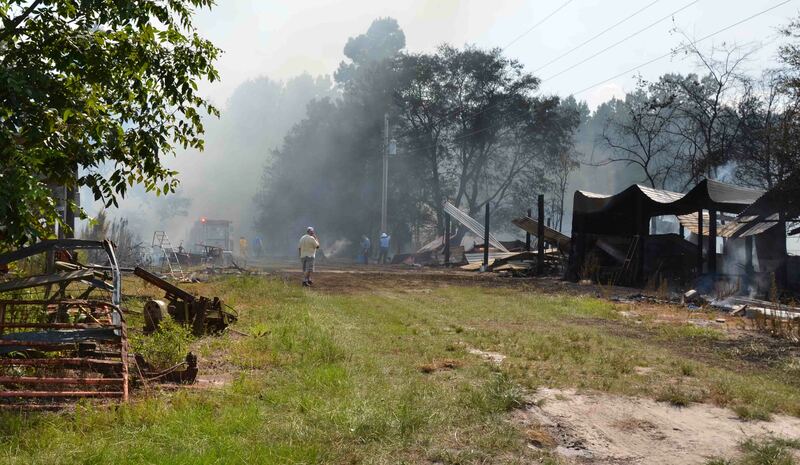 Witnesses advised a woman set a farm house and most of the structures on the property ablaze. Click here for more information. 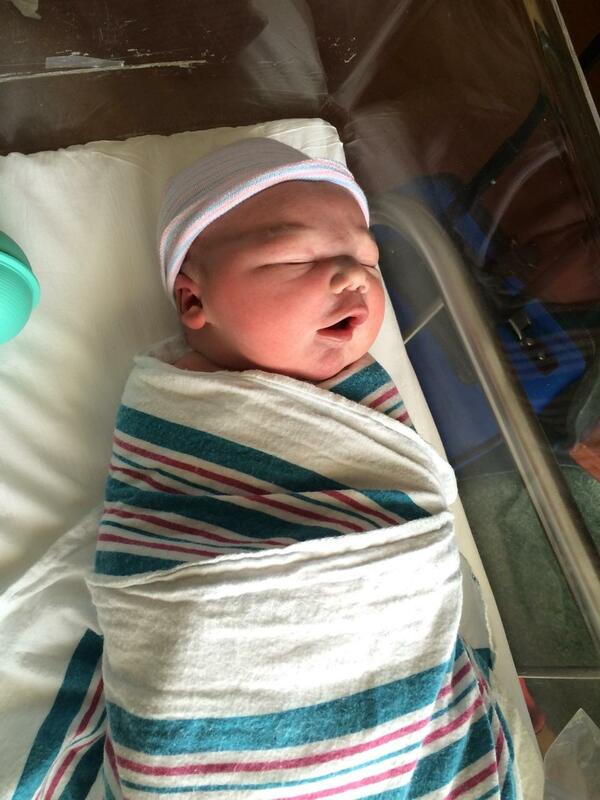 7/29/2015- We congratulate Captain Michael Banks and his wife Kelly on the birth of their third child. River Mason Banks was born today and weighed 9 pounds, 10 ounces. He is 20.5” long. Both baby and mom are doing fine. A domestic dispute lead to a family member setting a residence on fire with three people inside, two of which were children, Monday evening 27-July. 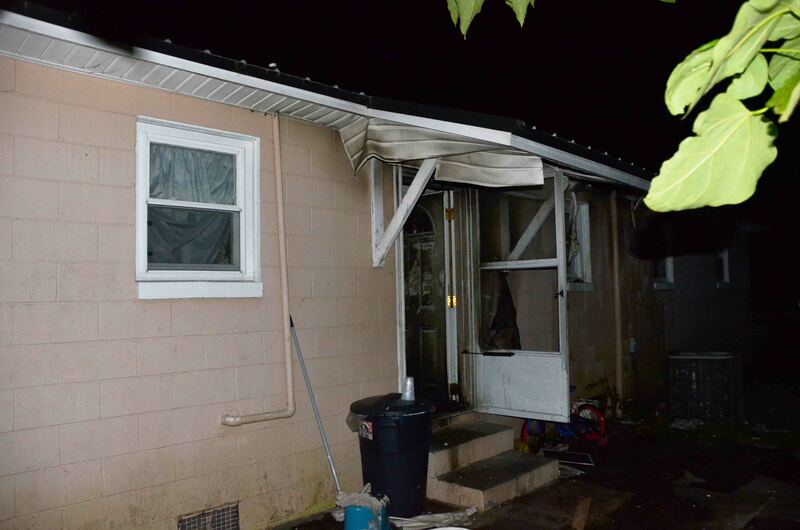 At 20:34, 9-1-1 received frantic calls of a man pouring gasoline on the exterior of a residence at 446 Jonesville Ave in southern Colleton County. The caller advised he had set the house on fire, then left the scene to obtain more fuel. Firefighters from Station # 13 arrived two minutes later. Click here for more information. We express condolences to Second Lieutenant Janet Laney and her family. Janet’s father, John Greene of Ruffin, passed away this morning 27-July. Visitation will be held at Brice Herndon Funeral Home on Bells Hwy. in Walterboro, Tuesday 28-July from 18:00 to 20:00. Funeral services will be held at Doctor’s Creek Baptist Church on Doctor’s Creek Road, Wednesday 29-July at 11:00. Mr. Greene will be buried in the church cemetery immediately after the service. Please remember their family in your prayers. A 38 year old Colleton County man was killed in a single car MVC on Sidneys Road at Wasson Lane Monday morning 27-July at 01:55. The northbound Chevrolet Malibu left the roadway in a curve. The car went down a small embankment before striking a driveway culvert. It became airborne then landed on the driver’s side, blocking Wasson Lane. The unrestrained driver was partially ejected and had no signs of life when Firefighter-Paramedics arrived. Click here for more information. A 35 year old Mount Pleasant woman received a shark bite on her left foot Sunday morning 26-July around 10:10. Witnesses advised an approximately 3 to 4 feet long black tip shark bit the woman while she was in about 4 to 5 feet of water. She received a small laceration to the top of her foot and several puncture type wounds to the bottom. Click here for more information. 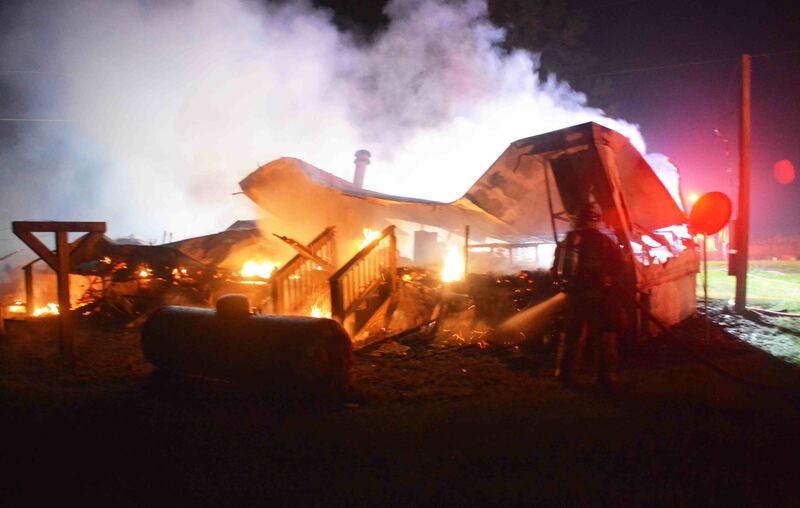 At 04:21 Saturday morning 25-July a singlewide mobile home located in the 300 block of McCune Branch Lane was destroyed. Firefighters arrived to find the structure fully involved. The roof had already collapsed and a LP tank at the end of the residence was venting. Crews deployed two 1-3/4 handlines from Engine 23. One was used to cool the LP tank, while the second line was used to extinguish the remainder of the burning debris. Click here for more information. 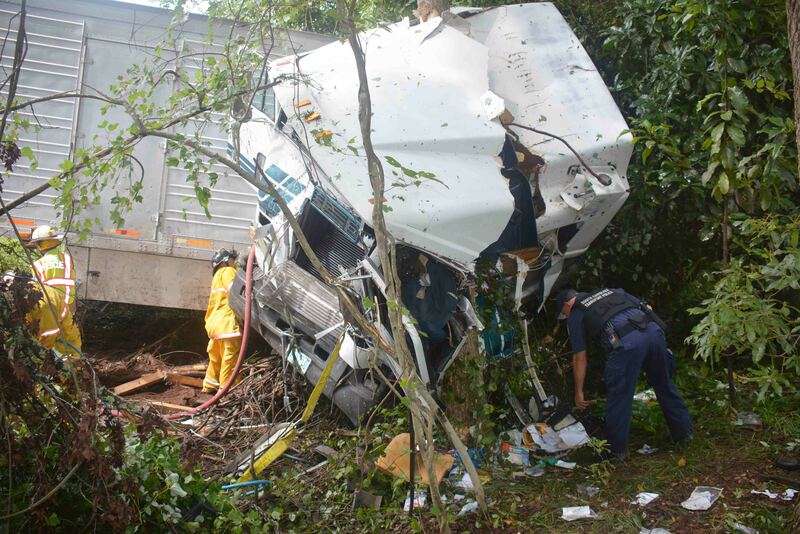 An adult male was killed and a second man was injured after a northbound tractor trailer left the roadway at a high rate of speed, jack knifed and hit several trees Friday afternoon 24-July. At 13:55, Hampton County Fire-Rescue called for mutual aid with the accident on I-95 near the 39 mile marker northbound. 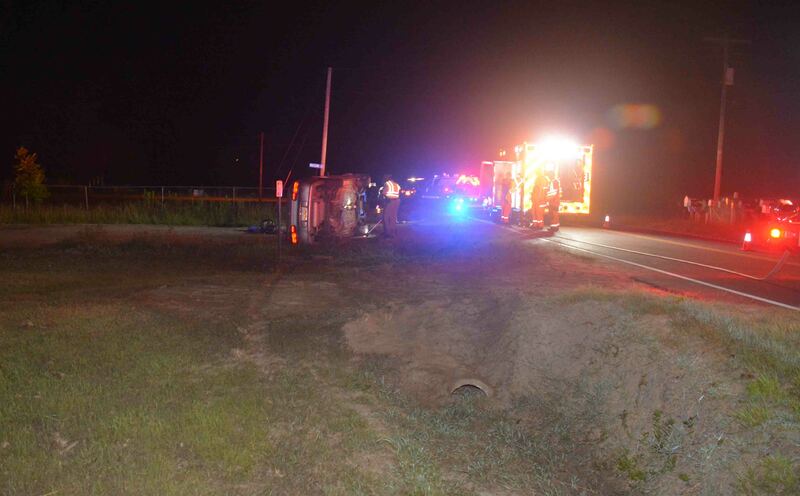 The accident was one mile south of the Hampton-Colleton County Line. The loaded tractor trailer went down an embankment near the Combahee River. Click here for more information. Our condolences go out to Battalion Chief Joey Campbell on the death of his father. Congratulations to Battalion Chiefs Brent Dalton, Richard Sheffield, Scott Feather and Firefighter/Paramedics Jordan Eaddy, Thomas Keefer, Michael Duffy, and Jimmy Guenther for completing their ASHI Instructor Development Course and becoming ASHI Instructors in ACLS, BLS, and CPR. Congratulations are in order for Firefighter II-Paramedic Justin Warko who was promoted to Captain today. Captain Warko will be assigned to Station # 26 on “B” Shift. We congratulate Firefighter II-Paramedic Brian Bishop for obtaining his National Registry Paramedic certification. Bishop graduated from Rescue Training in Savannah Georgia last month and successfully completed testing yesterday. We wish him the best with this milestone in his career. We want to congratulate Firefighter Andy Balkom and Leanyelle Oliver on the birth of their son, Justin Brantley Balkom who was born yesterday 16-July at 13:49 at Beaufort Memorial Hospital. Justin weighed 5 pounds, 11 ounces and is 18-1/2 inches. Both are doing well. We congratulate Firefighter Jared Polk and his wife Carey, as well as Fire Commissioner LaVern Polk (Grand Father), on the birth of their son (second child) Anderson Coker Polk, who was born this morning at Roper-St Francis. Anderson weighed 8 pounds, 9 ounces. Both mom and baby are doing fine. 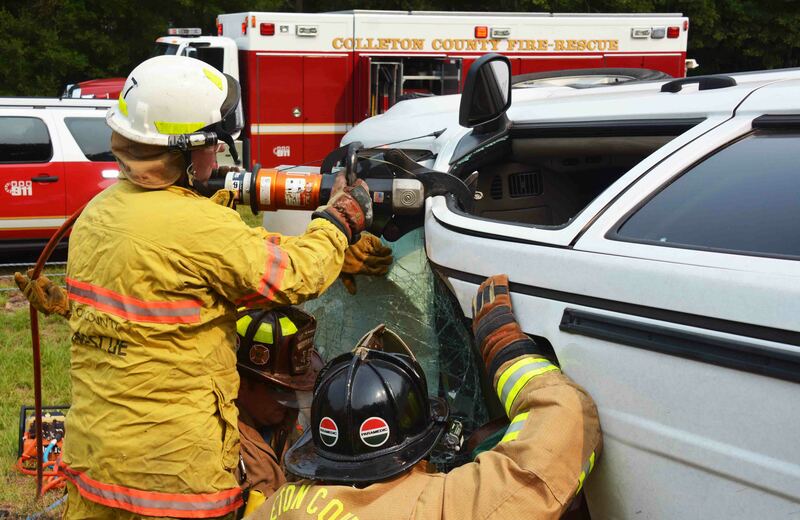 Two Colleton County residents were killed and a Walterboro man injured, in a three car collision on US Hwy 17-A near the Colleton - Dorchester County line, Thursday morning 09-July. Colleton County Fire - Rescue and Sheriff's Deputies responded after Dorchester County requested assistance with the incident. 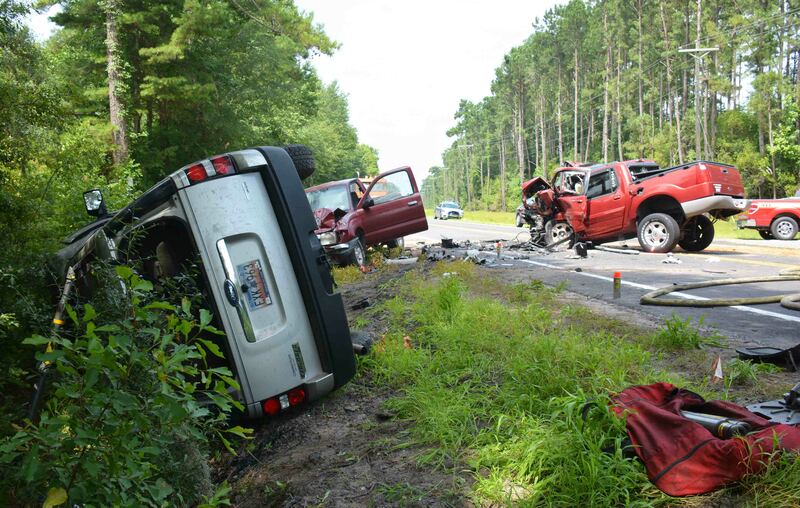 The accident occured around 10:15 on US Hwy 17-A approximately 1 mile east of the Edisto River. Click here for more information. An adult male died after being struck by a vehicle in the 100 block of Cross Swamp Road Monday morning 06-July. 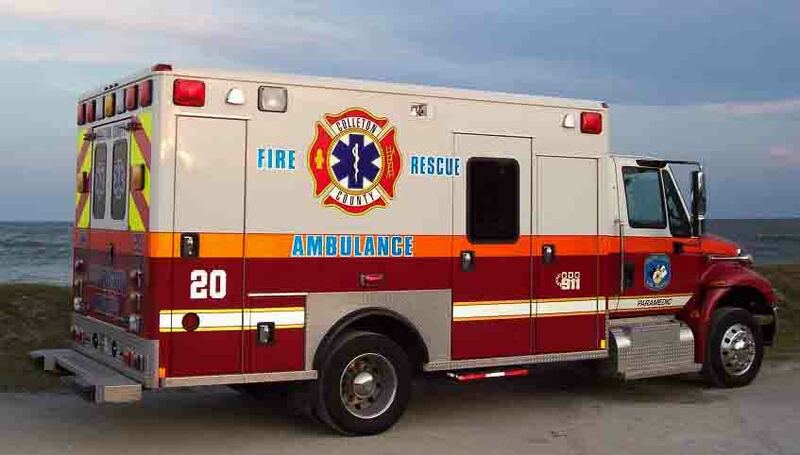 Fire-Rescue was notified of the incident at 09:38 after someone spotted the man unconscious in the ditch. Firefighter-Paramedics arrived minutes later to find the man deceased from multiple traumatic injuries. Evidence at the scene indicated the man had been struck by a vehicle and possibly been there most of the night. Click here for more information. 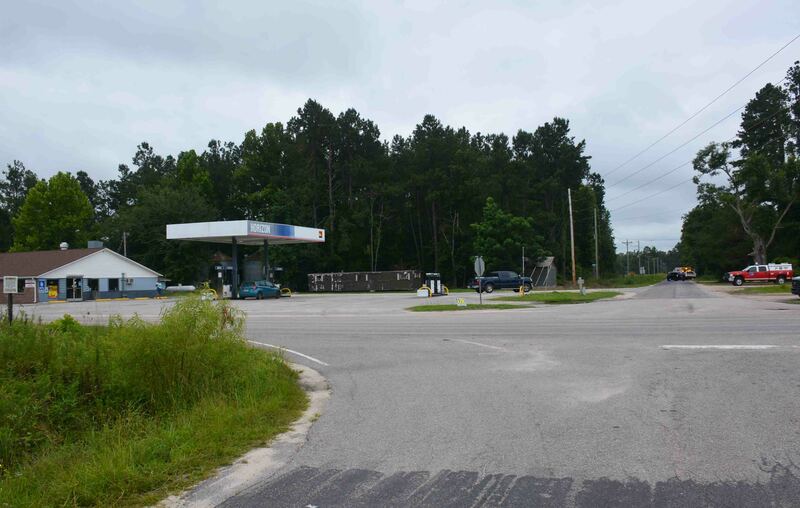 A Walterboro woman was killed and two adult males were injured in a single car high speed crash on Jacksonboro Road near Charleston Hwy Monday morning 6-July. 9-1-1 Operators were notified of the fatal accident at 02:37. The caller advised two people had been ejected from the car and they could not locate a female occupant. The accident occurred on a dark rural section of the secondary road. Click here for more information. We congratulate Firefighter/EMT Joseph Martin for passing his NREMT-Basic written and practical examinations. 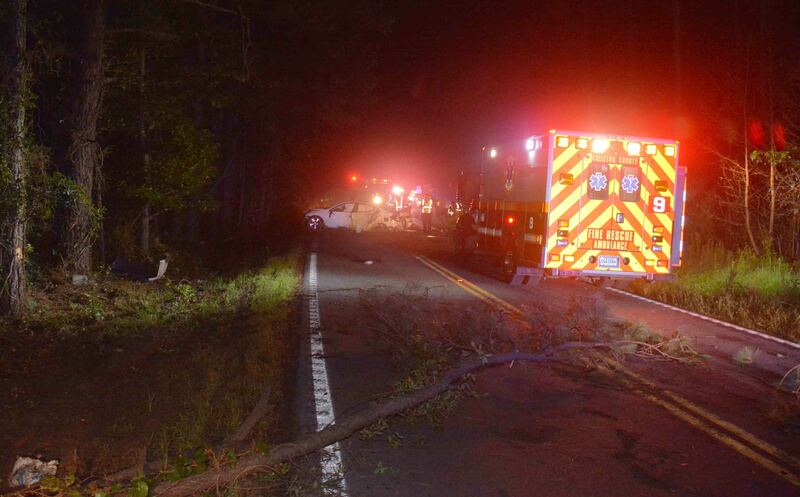 A North Carolina woman received multiple, non-life threatening traumatic injuries in a high speed roll-over accident on I-95 near the 47 mile marker northbound, just north of the Rest Area. The accident occurred Wednesday morning 01-July at 09:37. The northbound Ford Escape lost control and entered the median at a high rate of speed. It appeared the car began to flip over as it struck the cable barrier. The front of the passenger compartment was crushed, trapping the adult female driver. Click here for more information.